Jesus as the Good Shepherd by Alfred Handel. Photo courtesy of Toby Hudson, Creative Commons (CC BY-SA 3.0). Many non-Christian religions are stories of man’s search for God. Christianity (and Judaism, to some extent), differs from them, because it is the account of God’s search for man. When Adam and Eve lost their way due to their own choice, God came to the garden to seek them and bring them back. Since then, God has time and again stepped into history to point us the way back to Him. He came, because without Him, mankind was lost, without any hope whatsoever. The New Testament shows us what Jesus is like. “For the Son of Man came to seek and to save the lost.” (Luke 19:10). He was even ready to leave 99 sheep and go to search for the one that was lost. He is the Good Shepherd who gave His life for the sheep. 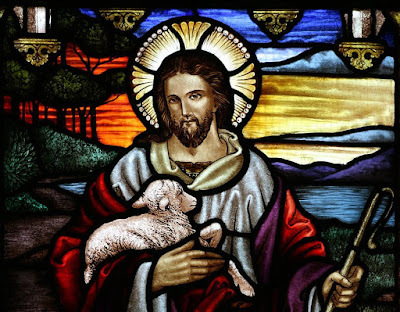 And that means us: “For you were like sheep going astray, but now you have returned to the Shepherd and Overseer of your souls.” (1 Peter 2:25). If you are still lost, now is the time to let the Good Shepherd find you.